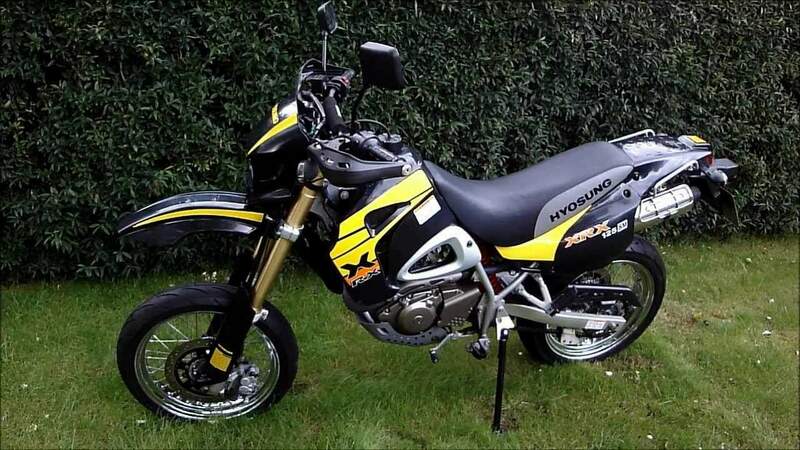 Hyosung RX125D SM is a bike with 125 cc engine, supermotard style, Engine is same that used on its sibling RT125D and RX125D-E .Its a 124cc, DOHC, 4 valve, oil cooled, equipped by a Carburetor (Euro 3), producing 10kW (13hp) @ 10,000rpm of power, and electric starter. 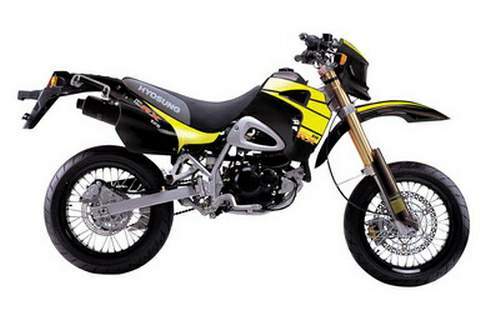 Braking performance features disc brakes front and rear with large diameter (supermotard style) on the front. This stylish new bike is equipped with everything needed for riding the streets whilst staying true to its off road heritage.